Are you looking for a room, studio, apartment or a single family home in Utrecht? RegionApartments.com is helping you in finding the required housing in any of the 65 cities in The Netherlands where we are active. Due to our great experience in the housing market and due to our collaboration with more than 200 connected estate agents in the Netherlands we are able to find your prospective house for the best price and conditions. Utrecht is a capital city in the Dutch province of Utrecht. This populous city is located in the eastern part of Randstad; it is also the 4th largest city in the country. As of May 2013 there are about 323,617 residents in Utrecht. The most obvious thing that you will notice when you visit Utrecht is its historical buildings and structures. This city is also the home of Utrecht University which is the largest university in The Netherlands and several educational institutions in the country. The city is also famous for its impressive cityscape with the Dom Tower dominating the view. The old city center and the canals are two of the most popular structures of the city; you can also find a religious center and several historical churches that have survived the test of time. Why is it great to rent in Utrecht? 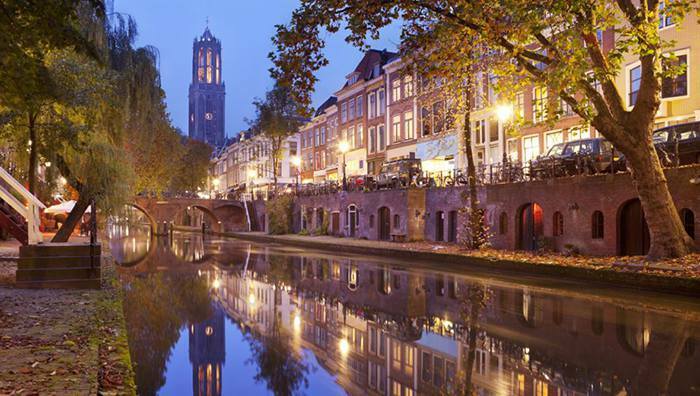 Why is it great to live and work in Utrecht? Simply because you are surrounded by rich cultural and historical influences. It is ideal to study, raise a family and to retire in this beautiful city and this is what people from surrounding areas and countries are deciding to do. Work and employment in Utrecht are depended on large institutions in the city as well as from businesses and commercial establishments. There are business centers, commercial complexes and various recreational centers are all around the city. The most popular is the Hoog Catharijne since aside from offering different goods and services; there is a route between the statin and the city center that is open from morning till night. Another reason why it is great to live in Utrecht is its focus on high quality education with Utrecht University. It is the largest university with more than 29,000 students in 2009. In 2010, the Shanghai Jiaotong University has released its university ranking and the university has ranked 50th in the world. Other than Utrecht University there are many primary and secondary schools in the city that follow the Dutch school system. The city is also rich in culture and it is evident in several theatres, cinemas, art galleries, museums and cultural shows that are all around Utrecht. Dudok is the main city theatre and it was built way back in 1941 and this building is where it all began. The city is host to the Netherlands Film Festival as well as venue for classical music with the Vrendenburg hall. Art galleries also dot the city with most of these located near the Utrecht School of the Arts. Going around Utrecht is not a problem since it has one of the most efficient transportation systems in the Netherlands. The city has a heavy and a light rail system, a bus transport system, their own industrial port and an extensive network of cycling paths. Families living in Utrecht root for their favorite professional football league FC Utrecht headquartered in Stadium Niew Galgenwaard. This city is also known for its rowing clubs which practice along its waterways. Other sports like soccer, cricket, squash, tennis and hockey also make Utrecht the best places to live and raise a family. There are rental apartments located all over Utrecht but if you are looking for a place with special amenities or a location with a view, you can certainly find it when you look for the best place. Long term rental apartments are available furnished, unfurnished or shell type and no matter if you live alone or you have a large family you can be sure that there is a long term apartment for rent for you.